London Edge comes round twice a year and is an absolute highlight in my calendar. 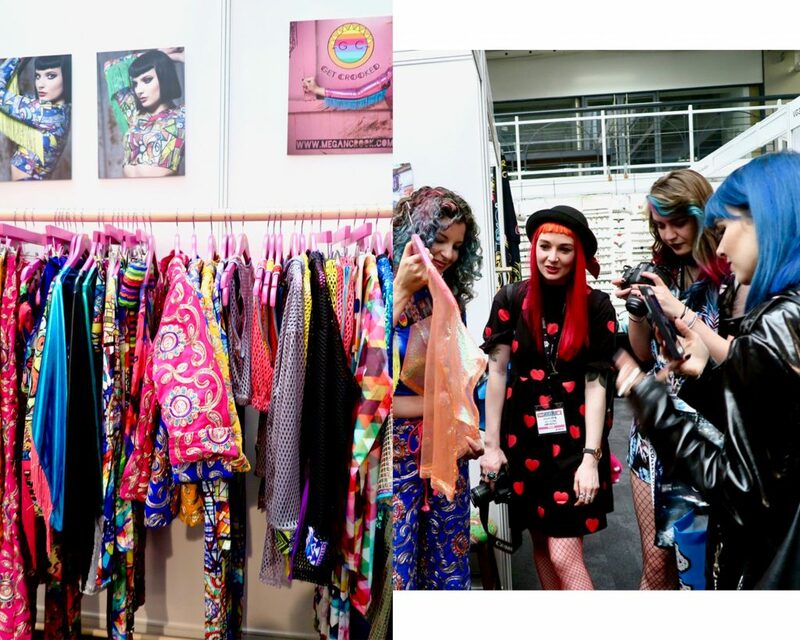 It’s a trade show with a difference, embracing alternative fashion and welcoming new independent brands each season, as well as some staples in the alternative community. 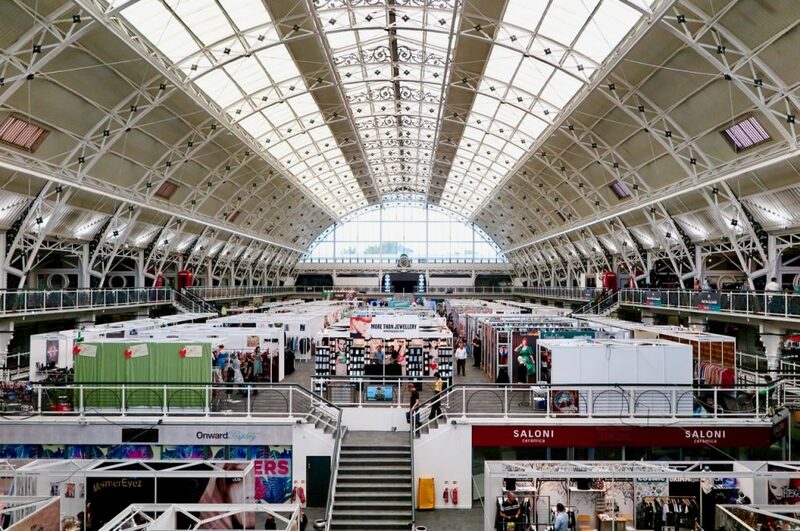 Another huge part of the two day event is the people; from the organisers, to the stall owners, to fellow influencers – I always come away with new connections and inspirations. 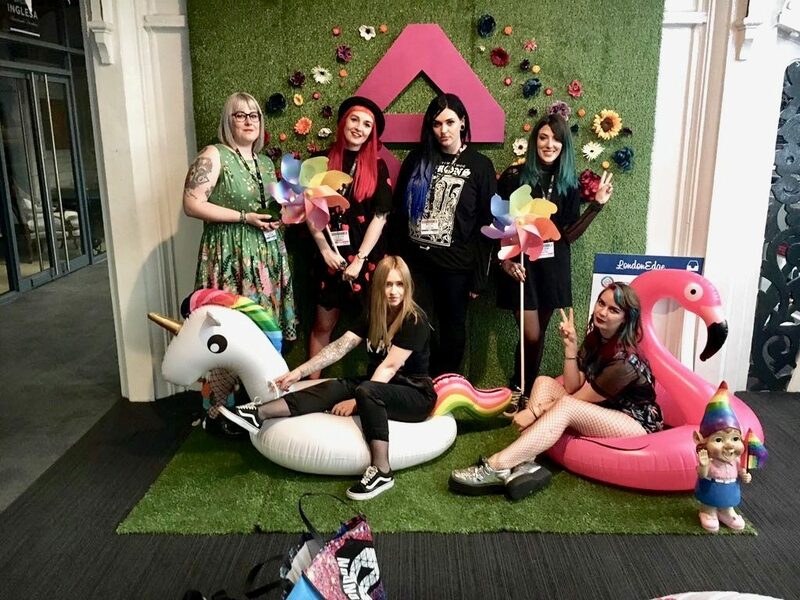 This year was no different; rocking up to the Business Design Centre in Islington alone I was soon greeted by a friendly crew of bloggers (Gems Up North, Foxxtailz, Rachel War, Lucy Love, The Colour Chronicles and Emilina Love). The only one who I had met previously was Jess, but the others were internet friends and any awkwardness soon dissipated as we wandered around the stalls talking style and life. 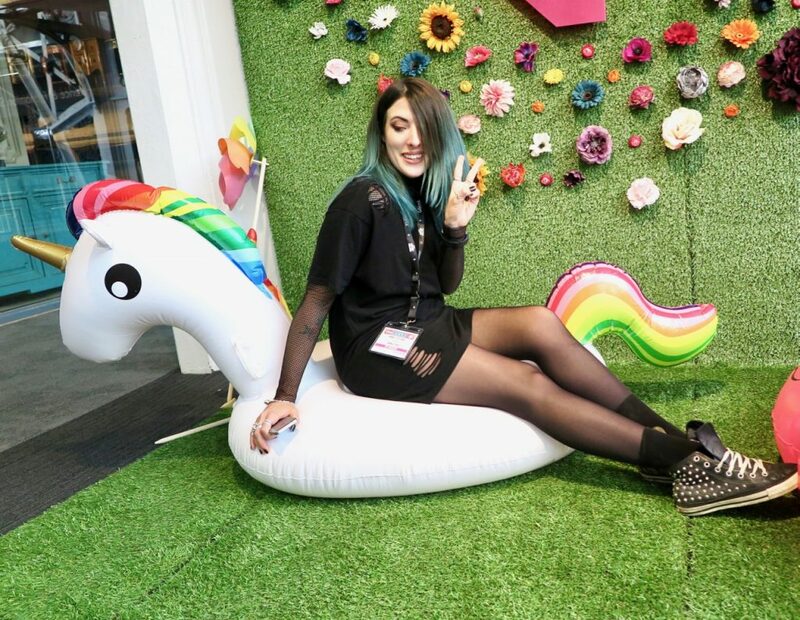 After making sure that we had taken in every stall and chatted to as many brands as possible we took a break to catch up in the festival lounge before catching the catwalk. Get Crooked – A bright brand where every detail is created in house, making completely unique items items in a kaleidoscope of colour – perfect for parties, festivals, or everyday unicorns. 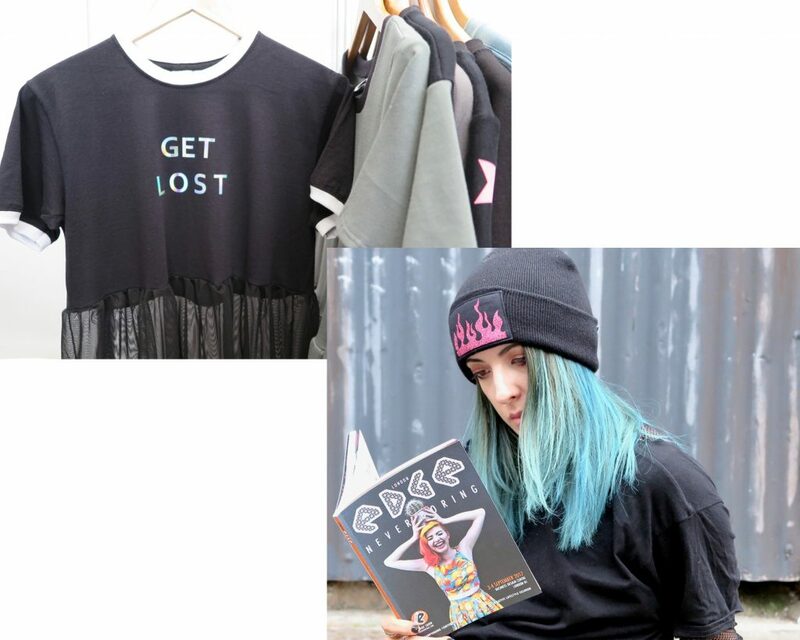 Mary Wyatt – An incredibly cool, dark, independent fashion brand, created in London. 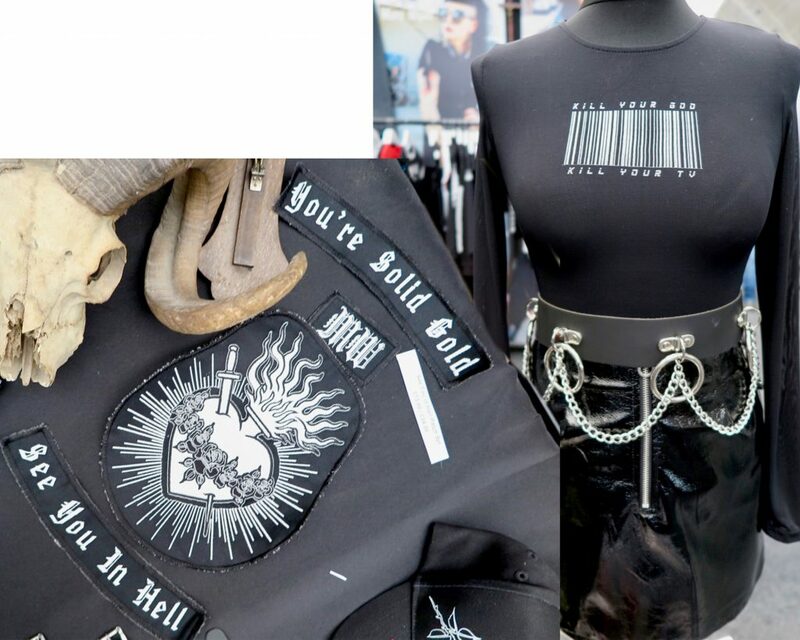 The collection is so up my personal style street with Scandi silhouettes and designs inspired by tattoo artistry. Each item has a limited run and new pieces are added to the collection monthly. Tallulah’s Threads – If you read my blog you will know that this gorgeous little indie brand gets a mention every season. 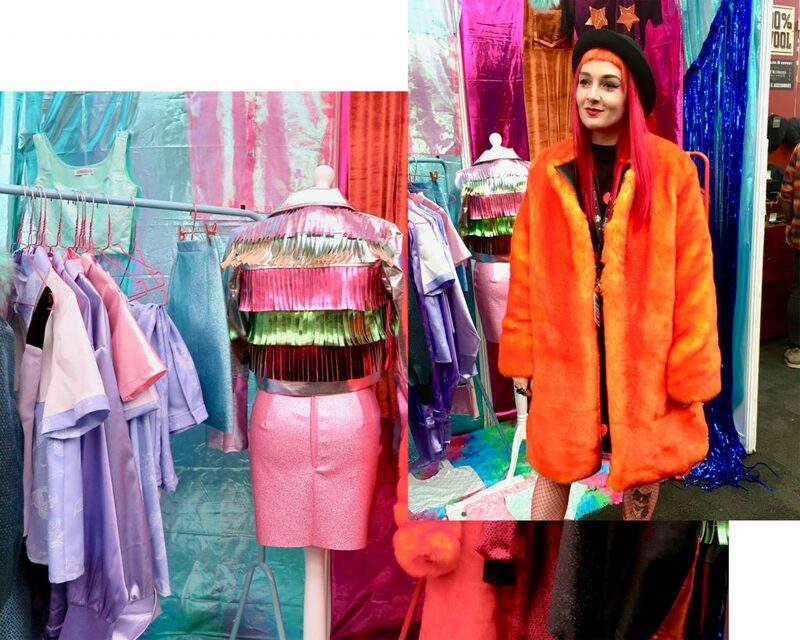 All items are created in their UK studio and are fashionable, yet fun. Though I always love their kitsch designs I am so excited about the latest darker collection. 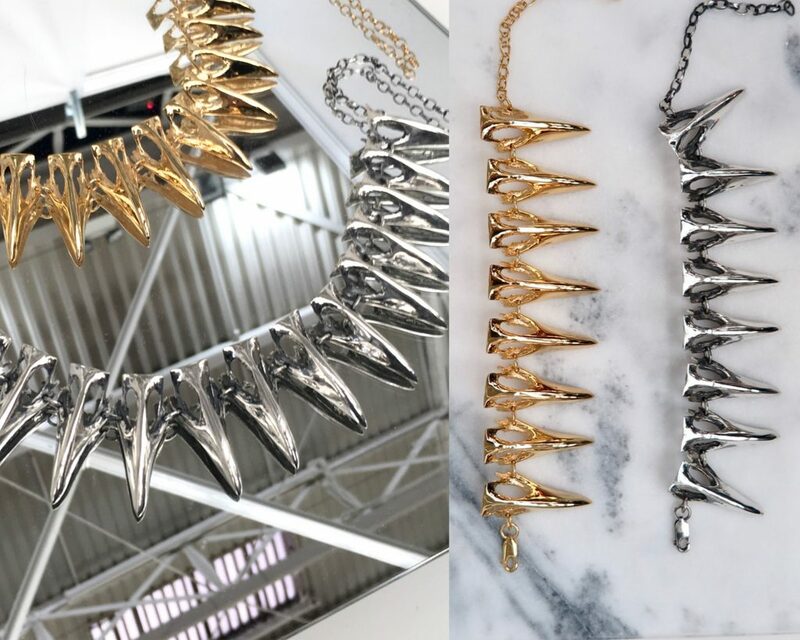 The Alkonost – A one woman independent company creating the most unbelievably stunning pieces of delicate, yet edgy, jewellery. Not only passionate about design, this brand also care about the environment making the production and packing as ethical and green as possible. 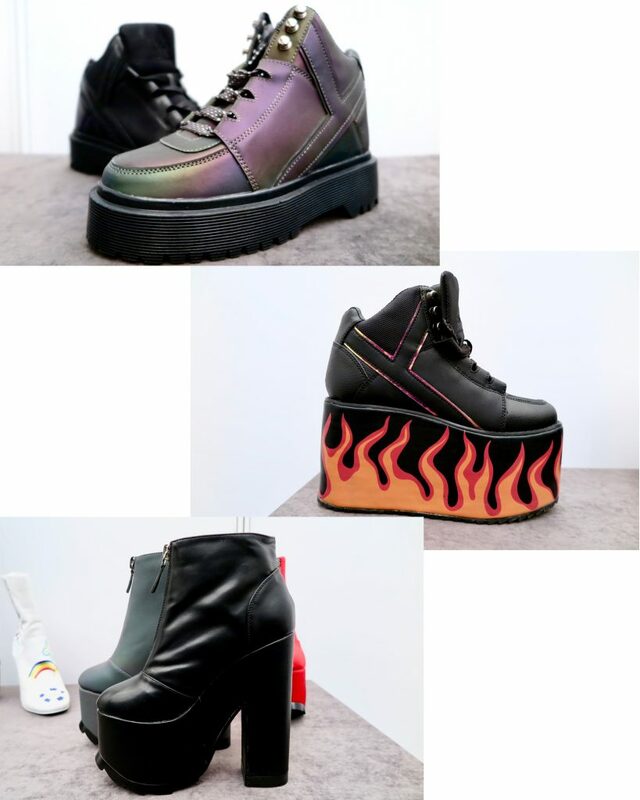 YRU – Creating uniquely crazy shoes that stand out from the crowd, the stunning galaxy collection were a favourite with the blogger crew I was with, but for me it was all about the glam rock flame platforms. They also have a range of flats which are more practical but come with just as much individual flare. 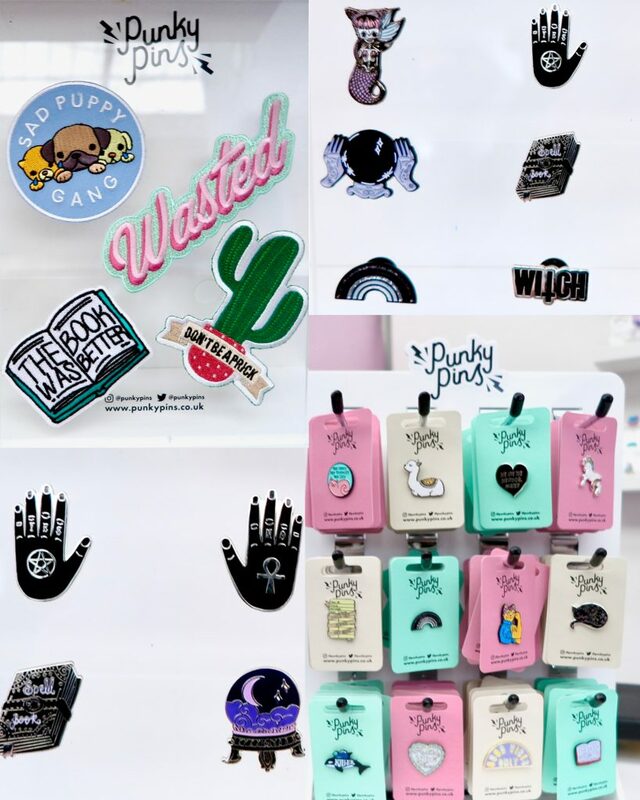 Punky Pins – Enamel pins and patches have been my style since about the age of 6; what’s an easier way to customise your clothing than by sticking something new on it. Punky Pins have another amazing collection this year, suiting everyone from your rainbow queens to dark witches like me. T.U.K – Styles that were “born in Britain but raised in California”, T.U.K has the perfect balance of UK punk and Cali cool, creating a varied range of shoes with everything from classic footwear to cute cats and rebellious rock styles. Hex – Bath bombs with an alternative twist. 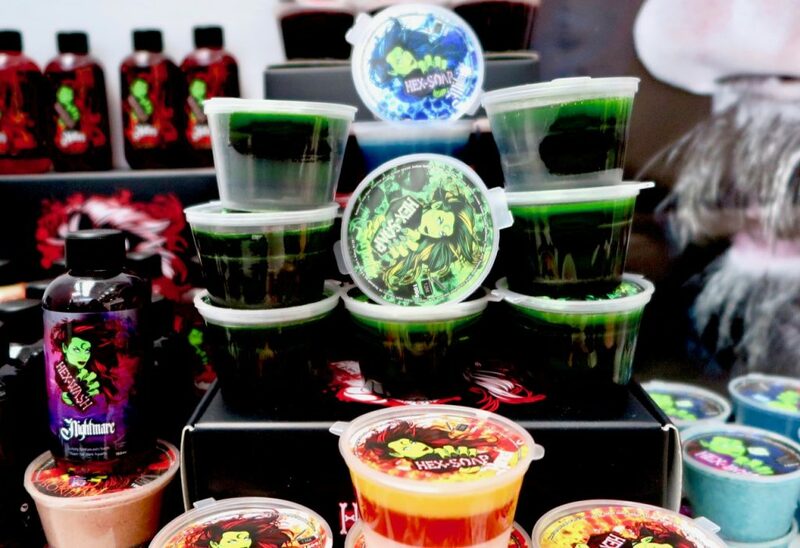 These only came out in 2016 but with such huge success the range has now expanded into equally spooktacular Hex Wash, Hex Soap and oils. Each product smells like a dream and turns bathtime into a magical potion. 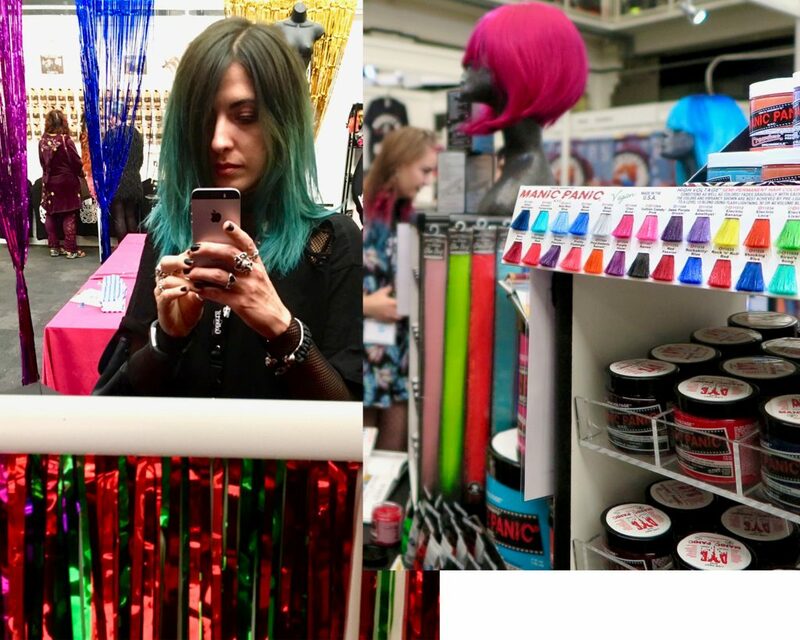 Manic Panic – Would it be a London Edge if I didn’t mention my favourite hair colour brand? I am still staying loyal to Manic Panic’s rockabilly blue but they have some great new colour coming to the UK soon, so keep an eye out on their site, ASOS, or your nearest Sally’s. 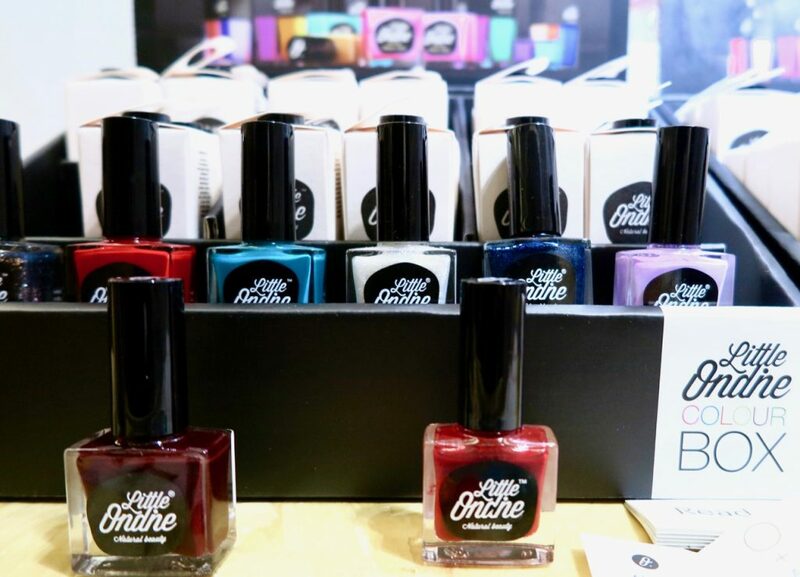 Little Ondine – Toxin free nail polish that goes on in one coat and peels off seamlessly when you are done. This is my go-to for when I need to top up my nails on the go, opening it up on the tube is not a problem as it’s odour free, and also dries super quickly. Sourpuss – A brand which are usually known for clothing this year knocked it out the park with their homewear. 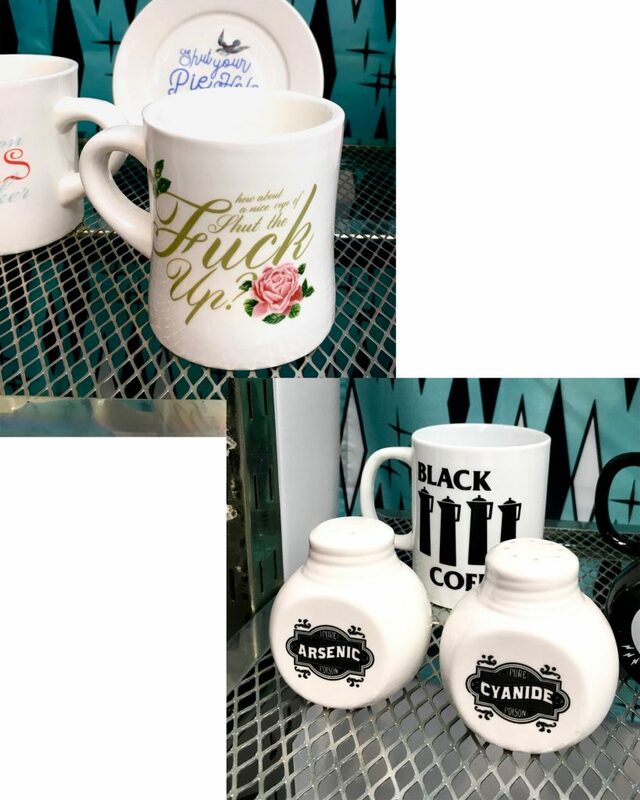 Plates and cups that look like they belong in your nana’s house, but which have expletives plastered across them, and poisonous salt and pepper shakers! I can’t wait to move to get some of this quirky crockery in my house. 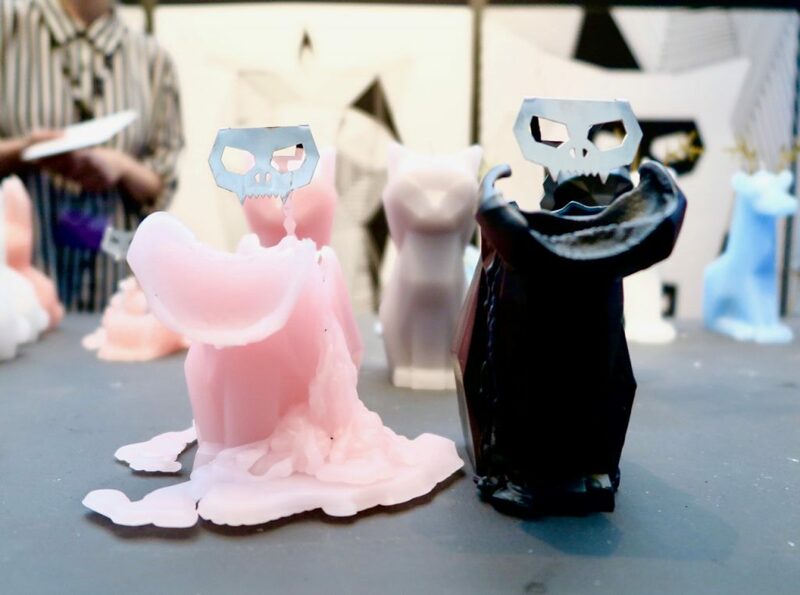 PyroPet – Cute candles that reveal their skelton when melted. I’ve had my eye on the black cat candle since seeing it in Shoreditch, but now they have a full range of other adorable animals including: birds, deer, dragons, and (coming soon) a unicorn. 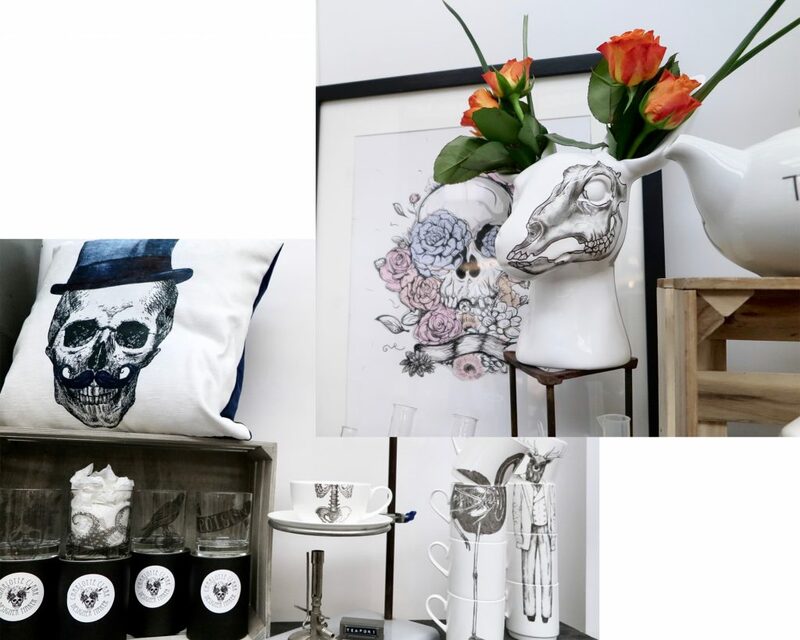 Charlotte Clark Designer Maker- Stunning illustrative homewear, cards and pins with a macabre twist. Many of the pieces are bone china and created by hand in Charlotte’s Shropshire studio, so can be made custom. I said that I wouldn’t start thinking of wedding things until January, but how gorgeous would these look as decorative items scattered round the venue? 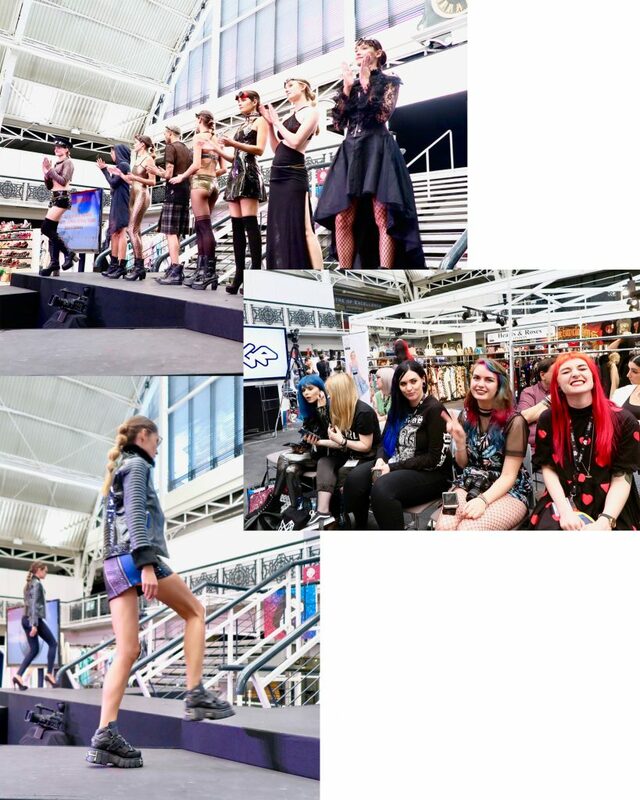 I hope this little London Edge roundup leaves you feeling as inspired as I did. If you have any independent brands that you think I would like, please send them my way I am always trying to branch out and support small businesses.